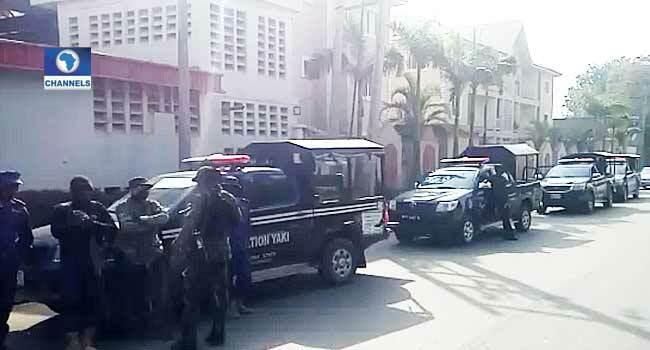 Police and other security operatives in Kaduna have mounted surveillance at major roads and the Nigeria Labour Congress (NLC) Secretariat in the state capital to prevent the Nigeria Union of Teachers (NUT), from going ahead with the protest. 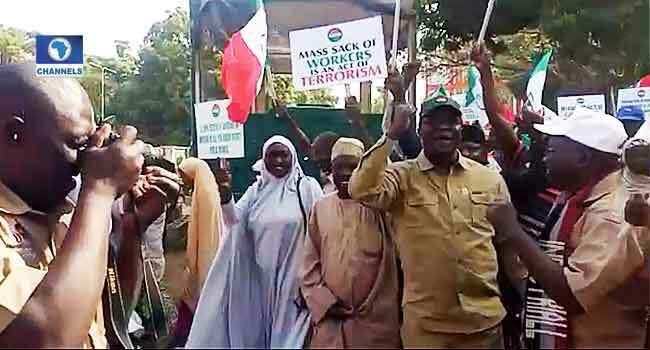 Meanwhile, NLC officials from the national secretariat and labour leaders of affiliated unions from the 36 states of the federation are already in the state to take part in the rally. Earlier the state government and the police had warned the teachers against embarking on any illegal procession or engaging in any act that violates the law or threatens the peace of the state. The State Commissioner of Police, Agyole Abeh who addressed journalists in his office on Wednesday, said any breach of peace by the striking teachers would be dealt with decisively.